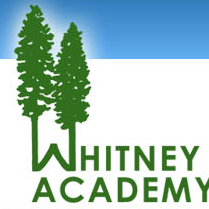 Now Hiring: Whitney Academy is looking for Residential Counselors for 2nd & 3rd shift, $300 sign on bonus! Whitney Academy Inc., is a unique, Joint Commission accredited, residential treatment center, serving adolescent boys with cognitive delays, psychiatric diagnoses and behavior problems. We are currently accepting applications for our intensive treatment programs located in Dighton, Assonet and Freetown, Massachusetts.